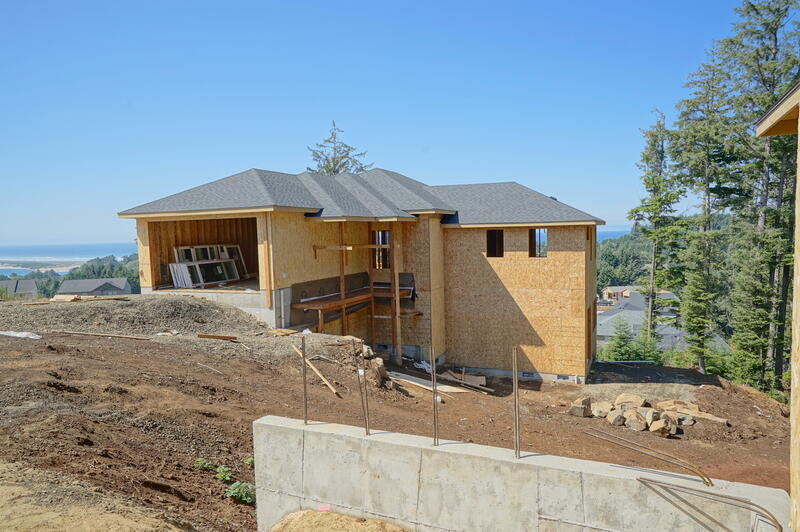 Under Construction in the Resort at Bayview on the Oregon Coast is this spacious 4 bedroom, 2.5 bathroom oceanview home. Open great room features gas fireplace with ocean and forest views! Master bedroom and laundry/mud room are located on the main level. Downstairs is ideal for family or guests with the family room and bedrooms. Located in Lincoln City, the Resort at Bayview sits above the Siletz Bay and the Pacific Ocean.